Recruitment and selection is the start of the employee and employer relationship but retention of that new employee is just as important. Employee retention strategies ensure you keep the employees that you just worked so hard to recruit. The costs of recruitment would be lost if the retention strategies were not implemented. Remember, costs of losing an employee are high – one-third of the new hire salary. The intangible cost of the knowledge that is lost when that employee departs is also another reason to have effective retention strategies. Often overlooked and hard to quantify is the loss of the future potential of those who leave which is normally a significant factor as they are usually the brightest or best, as these are the most desirable to other organizations. “An even greater cost can be the dissemination of an organization's secrets, methods, technology, customers, etc., with the competitor that hires the employee away. As the environment becomes increasingly oriented toward learning organizations, dependent on knowledge bases, skills, relationships, etc., this latter factor is rapidly becoming the most expensive cost of turnover.” (ISR, n. d.). Some companies have implemented exit interviews to develop information for retention strategies. Unfortunately this is a reactive rather than proactive strategy. Further, they assume the exiting employee will be honest, which is not necessarily the case, as he/she may not want to "burn bridges" and therefore give more acceptable answers such as compensation rather than discuss the real issues. “The other problem with reactive surveys is that they do not assess the employee's state of mind that caused him to begin searching or have an interest in other employment in the first place.” (ISR, n. d.). “Consequently, a more proactive approach utilizing tailored employee surveys, allowing employees to remain anonymous, offer a much better method for organizations to gain information and/or opinions about their jobs, managers, organization, etc. Utilizing such a method, comparing against previous survey results and benchmarked against other organizations, gives management the information necessary to design and implement retention strategies that will stop people from leaving.” (ISR, n. d.). As a result of a survey, some key drivers why employees leave an organization were developed. If the manager understands what they can do to promote or utilize these drivers, they can create an effective methodology to keep personnel in their jobs. Individual development needs to be a manager’s top priority to retain their employees. Creating “employability policies” can have numerous effects on employee performance. For instance, it can create an organizational commitment, trust and loyalty to the firm and manager, and company performance and institutional expertise. “Many companies have “promised workers opportunities to keep their skills current and to learn skills to ensure they could find jobs elsewhere in the event of layoff”.” (Benson, 2001). “ Pentafour the attrition rate is low compared to industry standards . . . . It has to do with the opportunities that are offered to our employees and organizational climate prevailing here. Our employees are given the opportunity to learn and grow in the company itself. They are given a lot of technical training and exposure to various types of project. The challenging work makes it difficult to leave our organization.” (Nelson, n. d.). The challenge, which promotes individual development, is especially important in the IT field. Rotating projects can also promote this challenge. Training and tuition reimbursement programs encourage individual development. Technical training is a growing trend. “ Kaiser provide[s] extensive training programs that range from Microsoft and Cisco certifications to a new Web Academy for IT staff who want to learn new skills.” (Watson, 2001). In the same realm of technical training also “involves virtual learning or "e-learning" as a training method. Virtual training systems are software- or Internet-based, and they enable companies to train employees in various locations or at different times with consistent methods. “Such programs can streamline costs and save time as they can be implemented on short notice if needed.” (Mulling, 2002). IBM has joined this venture through its IBM Global Campus (IGC), its internal education portal. It enables you to search the worldwide IBM Course catalog and enrol in e-learning or classroom courses (IBM, 2003). Companies like 3M are expanding their training programs to include development of leadership. For instance, they maintain two programs. The Positional Leadership Initiative is designed for those in IT management positions” (Roepke, Agarwal, and Ferratt, 2000, p. 340). “3M’s IT people recognize that the human resource vision is to provide personal development, particularly for leadership more so than technical skills” (Roepke, Agarwal, and Ferratt, 2000, p. 344). “Some HR departments make a point of meeting with each employee at least once every six to twelve months to formally review development plans and progress. In addition to these one-on-one planning sessions, employee development may include onsite professional association and university programs.” (Burkholder, 2002). Formal development and training plans set goals for the individual that allow them concrete envisioning of their development. “Training as an investment in employees who will, in turn, benefit the company with improved productivity, enhanced customer service and a better bottom line.” (Carbasho, 2002). “Just remember that the return on investment, particularly for job related professional development, can be quick and significant. Employee development can also impact organizational espririt” (Burkholder, 2002). For this reason, individual development is essential in all economic conditions. This driver works in conjunction with individual development. How can an employee advance their career without training and learning? However, a career path to get to advancement is just as important. “Most companies realize that “the ability to create opportunity in your own organization and allow people the ability to move [up]” is important to retention.” (Thibodeau, 2001). Companies like Lucent and MicroStrategy exemplify this. “ Lucent has recognized the importance of creating a path for highly skilled technical people to advance in other ways besides going into management. The solution has been to establish two separate advancement tracks. The first track, Individual Contributors, is designed for Lucent’s discovery scientists. 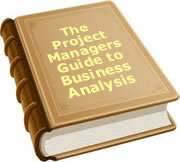 The second track, People Managers, is aimed at management personnel” (Best Practices, 2003). “MicroStrategy lets qualified employees change jobs within the company every 12 months . . . .The job-changing policy at MicroStrategy is coupled with an in-house university program that provides interested workers with "real-world training” (Thibodeau, 2001). Career advancement is important because employees want to progress. Not only is a competitive salary important to retention, but also recognition for a job well done and rewards for completing such work is also critical. Employees want to be recognized for their contributions to your organization. Managers giving employees a kind word or a pat on the back can go a long way in motivational attitudes. To effectively motivate and retain, firms and managers must show they value employees. Managers must “offer the tangible intrinsic rewards that give value and meaning to the work experience” (Nelson, 2000). Other methods of recognition include an awards system. Employers at the Ritz-Carlton give employee awards for excellence in a wide variety of areas. Fellow employees can give awards such as their Five-Star award or awards can be determined by managers as in their Hero Club award. “The idea is that managers should catch their employees doing something right.” (Best Practices, 2000). Team awards can also be given to groups of individuals. Even the assignment to a hotel new start-up assignment “convey[s] a sense of pride and self-esteem that is the core of Ritz-Carlton's employee satisfaction process.” (Best Practices, 2000). One last option is a referral incentive reward. Employees can be rewarded for recruiting. “It is a known fact that employee referrals are better qualified and stay on the job longer than any other candidate source.” (Zigich, 2003). When you do hire the referral, remember do not “pay new hires more than existing IT staffers who helped you achieve growth” (Roberts, n. d.). The employee needs to feel a sense that they are in control of their work environment. Managers can facilitate this through options such as flexible work schedules. This is increasingly becoming a motivator for employees. In fact some employees would accept a pay cut in order to have variable work options. “According to the American Management Association, allowing flexibility improves work quality; companies with flexible scheduling options report absenteeism is cut by as much as 50 percent.” (Nelson, 2000). If a manager has the ability to curb absenteeism and increase productivity using this method it is by far an excellent approach. For example at Eastern Health Systems they offer shift options. These “allow a full-time employee to work seven days and have seven days off, or work three 12-hour shifts in a week” (Putman, 2002). One of the managers many duties is to retain the top employees within the organization. If a manager fails to do this, retention suffers. For instance, a survey conducted in 2001 by McKinsey & Co. found that corporate officers seemingly are alert to the shortcomings of their companies' talent-management efforts. Among respondents, 75% say their companies are either "chronically talent-short across the board" or "suffer from insufficient talent sometimes”, and only 33% think their companies attract highly talented people. Even fewer – just 10% – believe their companies are good at retaining high performers” (Weddle, 2002). As such, the employee has to utilize the other drivers here to ensure that top talent is retained. Respect between managers and employees is in both directions. To get respect you must give respect. Methods that managers may use to respect their employees are numerous. A few are related here. For instance, the importance of family cannot be understated. Managers must understand family commitments outside of the work place to not only include issues like day care, but also time off to take care of, and be with family. Treat your employees with kindness and respect since they are an integral part of your organization. Maintain a strong business relationship to facilitate a flow of information. This creates a feeling of importance and appreciation. Managers can do this by finding a common ground with employees and build connections from there. Comment on something in their work area that can start a conversation and foster that bond. (Michaud, 2001). “creativity and out-of-the-box thinking, which can greatly increase your bottom line.” (Michaud, 2001). Lastly, listen to your employees. They will gladly share their needs and issues about their job. Do not dismiss their thoughts as unimportant. Understand your employees and give them your full attention to make them important. A formal method of doing this is through employee surveys. “When you listen and learn your employees’ motivations and goals, you can better sell them on future concepts and projects by using their own motivations.” (Michaud, 2001). One of the aspects in the employee work place is the direct supervisor. “The relationship between . . . direct supervisors ­ and workers is a key factor in employee satisfaction” (Putman, 2002). The supervisor is the gage by which employees come to know the company. Supervisors must gain their employees respect. Therefore as a manager it is important that training of supervisors be conducted. Companies that conduct such training can enjoy a lower turnover rate. Managers should ensure that the company “uses a portion of its development budget for training supervisors and managers in "people" skills” (Putman, 2002). “place a strong emphasis on improving one's leadership, supervisory and management skills through building effective workplace relationships.” (Putman, 2002). This transitions the discussion into the next driver. The lack of an effective leadership role by managers and supervisors is a reason that some employees leave an organization. Communication is one element that will foster an effective leadership role. Communication can promote the other drivers already discussed. Management must be strong and fair-minded to boost retention numbers. Leaders should actively discuss issues of employee talent in the same regard as the corporate budget. Another part of this role is the leader must stimulate employees to do their best. They must not only promote the goals of the company, but also be able to be likable to resolve employee needs. Managers must recognized the unique skills their employees offer and their contribution to the company. Be aware of personality differences between the manager and the employee. This can have a major impact in retention. “Managers must develop personal ways in which to motivate all employees.” (Ernsberger, 2003). “Sometimes to verify that you have effective leadership or if a problem has arisen in this arena, using 360-degree feedback surveys may be beneficial. These types of surveys involve all levels from top management to employee. This can provide an understanding of the leadership style that a manager may be using that is dissatisfying employees. This can identify problems that may be able to be corrected.” (Ernsberger, 2003). “Too often, leaders are put in positions without adequate training, support or role models . . . . Progressive organizations are doing more to build leadership capability at all levels because they understand the success of a manager/employee relationship begins with the manager.” (Putman, 2002). “includes eight skills identified for successfully transforming IT: initiative, emotional self-management, cooperation, customer service orientation, self-confidence, achievement orientation, flexibility, and interpersonal understanding.” (Roepke, Agarwal, and Terratt, 2000, p. 336). “At 3M IT that means encouraging leaders to serve their work groups: to be leaders that first care for their people, helping them become stronger, healthier, more autonomous, more self-reliant, and more competent; furthermore, it means balancing that caring with the needs of the company.” (Roepke, Agarwal, and Terratt, 2000, p. 342). In this leadership development, companies are recognizing that its development is integral to employee retention. “Leadership development training helps companies put strong employees on a career path for growth. By focusing on an employee's long-term success, the company shows its commitment and hopes to rebuild employee loyalty. This soft-skills training also helps managers to be aware of what their employees want and need from the company. Managers still need to be focused on profit, growth and employee productivity, but now concepts like communication skills and work-life balance are taking on more importance.” (Mulling, 2002). This makes the company well rounded. Other issues besides the key drivers need to be addressed. One is culture fit. “It is the manager’s job to provide realistic expectations and socialize the employee into the organization.” (Tri-ad, 1998). “work, work environment, manager actions, and organizational characteristics.” (Beck, 2001). “the principal reason that employees choose to leave an organization is their discomfort with its culture. This happens when their preferences in terms of management style, conflict resolution, individual accountability, dress and work hours do not match the policies and norms of the organization. They come to work feeling out of sync and out of touch, and are soon on their way out the door.” (Weddle, 2001). Sometimes the intangible items attribute to employee retention. “the current economic and market conditions, such as the unemployment rate, job growth, available labor pool, and other factors that are outside of the influence of the organization” are attributable to retention.” (Tri-ad, 1998). For instance in the current labor market, employee retention is high with unemployment. If there is intense competition for labor, organizations may offer employees incentives to leave their current organization. Even though the manager needs to be aware of these external factors, the key drivers that have been discussed are the instrumental tools that can prevent stealing of employees. “Effective retention strategies must be based on one common theme: enhancing employee performance and loyalty. A firm earns loyalty by creating a positive work environment that is stimulating and emphasizes employee growth. Today, loyalty is sustained through an organizational culture that encourages motivation, energy, and innovation, and that accommodates employees' needs and lifestyles.” (Nelson, 2000). The company and manager that formally define their retention strategy that they are practicing will be more successful in lowering costs for the company. Defined retention strategies keep managers aware of what they must do on a daily basis. To date, 14 people have rated this article. The average rating is 3.29 - Add your rating. Just select a rating and click the button. No other information required. Carbasho, T. (2002) Making the case for good retention practices. Tri-ad. (1998) Strategies for Retaining Employees Into the 21st Century. Zigich, J. (2003) Recruitment and retention of employees in technology-based businesses.